LSU basketball coach Will Wade spent the end of the regular season and entire postseason suspended while the university conducted an investigation of the program's suspected recruiting violations. But Wade may be set to soon learn his ​ultimate fate moving forward. 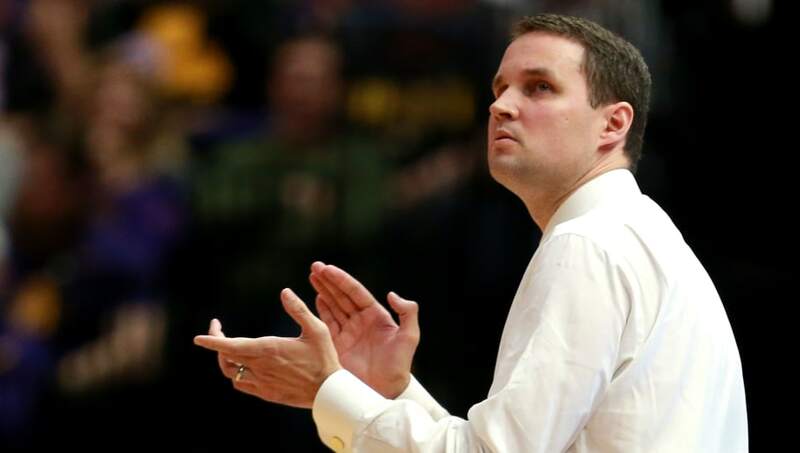 BREAKING: Will Wade will meet with #LSU and #NCAA officials on Friday, the school confirmed with @Geaux247. The news first reported by @RossDellenger is the first step in a potential return for the second-year coach of the Tigers. The head coach is expected to meet with university officials Friday. Wade hasn't coached since he was suspended before the team's regular-season finale against Vanderbilt but has proven to be an excellent on-court coach for the Tigers, which recently won the Southeastern Conference's regular-season championship, buoyed by wins over Tennessee and Kentucky. Wade is under the direction of Steven Thompson, who has also represented coaches Bruce Pearl and Sean Miller through their own crises. Part of the issue with Wade is that he wasn't willing to meet with LSU officials immediately, leading to the indefinite suspension. Any added drama surrounding the head coaching position could lead to additional uncertainty among recruits. Either way, the Tigers must come to a resolution shortly.